The University Board of Trustees approved a Campus Master Plan in October 2008 after consultants evaluated current facilities and the land use implications of new programs and directions identified during our strategic planning process. Why develop a Campus Master Plan? To set the stage for growth articulated in our strategic plans. To plan, design, and build facilities that enhance our programs. 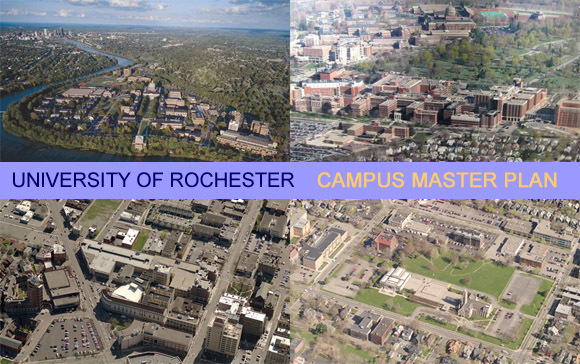 To improve the look and feel of the University of Rochester campus in efficient and coherent ways. To attract and retain the best faculty, staff, and students. To raise our aspirations while being true stewards of the land. Maintained by University Communications.. Problems with this site? Please contact our webmaster.